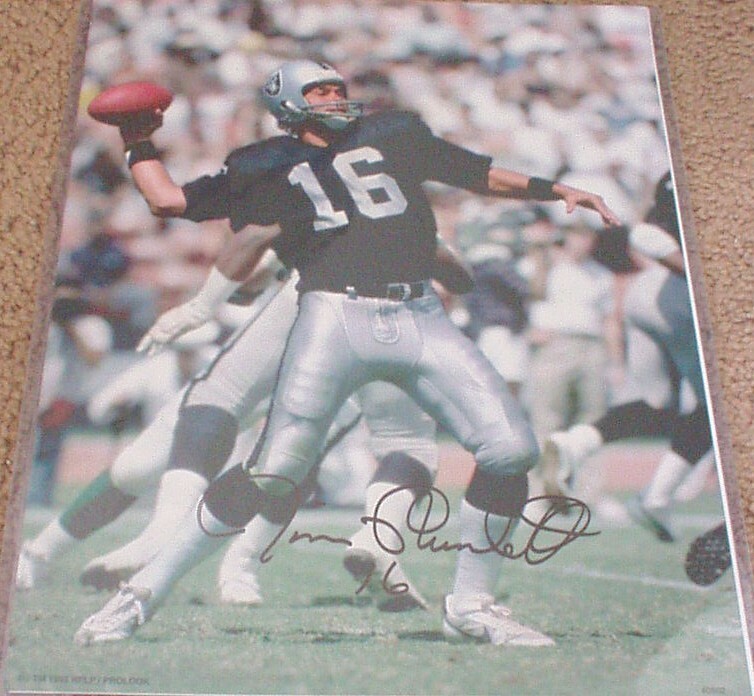 11x14 Oakland Raiders action photo autographed by former superstar quarterback Jim Plunkett. Obtained in person at celebrity golf tournament. With certificate of authenticity from AutographsForSale.com.